That's among the suggestions a logo design company said it received when it asked people how they would update the image of St. Nick, according to CBS Pittsburgh. Graphic Springs said it surveyed 400 people in the U.S. and U.K., then 4,000 people voted on the suggestions. 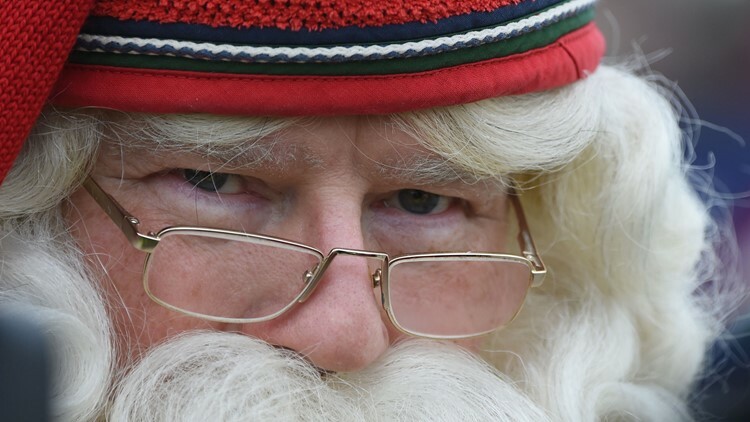 The results said 27 percent of people believe Santa should be a woman or gender neutral. Nearly 11 percent voted for a female Santa, while 17 percent approved of a gender-neutral Kris Kringle. Still, 72 percent said Santa should be a man. 22 percent said he should trade the sleigh and reindeer for a flying car. 25 percent said he should turn in his boots and wear trainers. 21 percent said he should go on a diet. 23 percent said he should use Amazon Prime. 20 percent said a tattooed Santa would be cool. 18 percent said he should get a new hairstyle and wear skinny jeans.